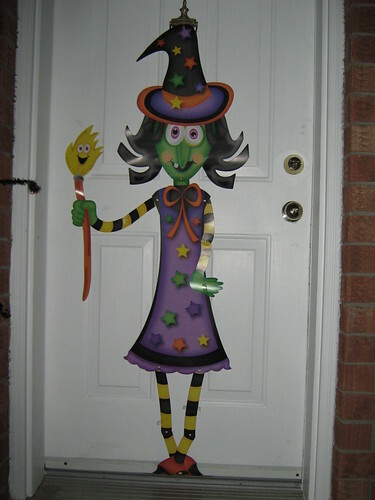 Halloween is for fun, funny decorations and horror. Last night my sister together with her daughter Abby, me and a friend Elma with her son Peter went around the neighborhood for trick and treat. We received lots of chocolates, chips and candies. And tonight my friend and I will go to a Halloween party downtown. 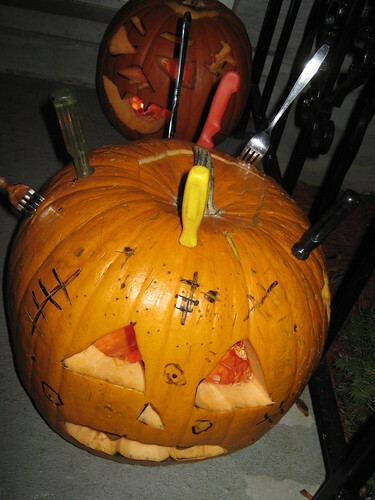 Great Jack-o-latern! Hope everyone had a very Happy Halloween and a Blessed Samhain. kaluoy sa pumpkin, gi daog-daog. hahaha. karon lang ko ka visit usab diri ba. new na diay imo layout. very nice kay bugnaw sa eyes.